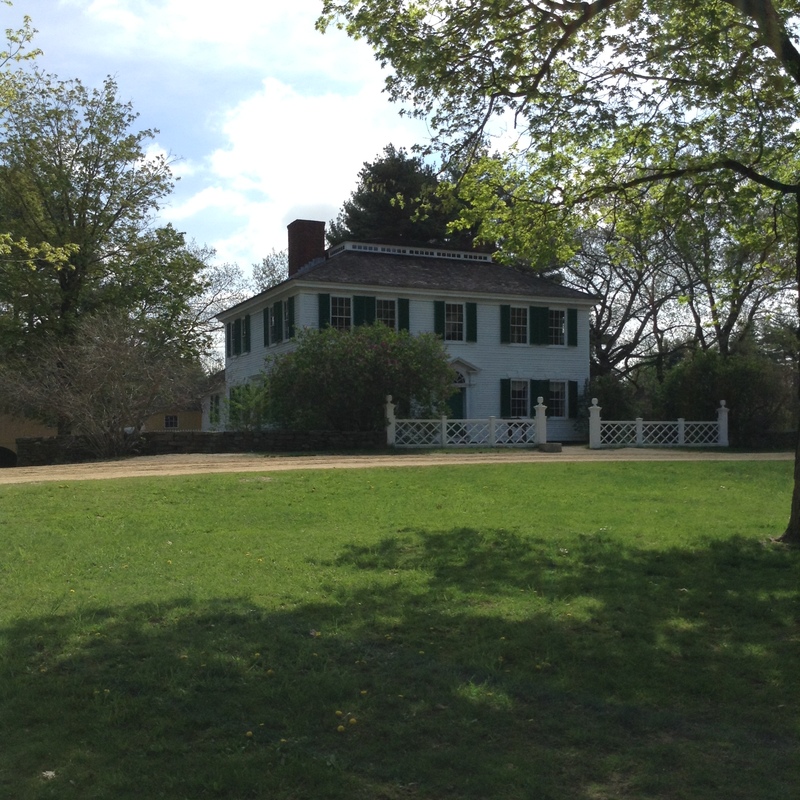 Week Nineteen was packed full of events and books. We celebrated multiple birthdays in our small family and there was lots of cake and good food. I made a pasta drenched in lemons, olive oil, thyme, parsley, garlic and with Italian sausage and red peppers. It was based on a recipe from Laura Vitale who is a great favorite in our household. Our chocolate birthday cake had pastel colored tiny sugary confetti on it that Little M called ‘little M and M’s’. 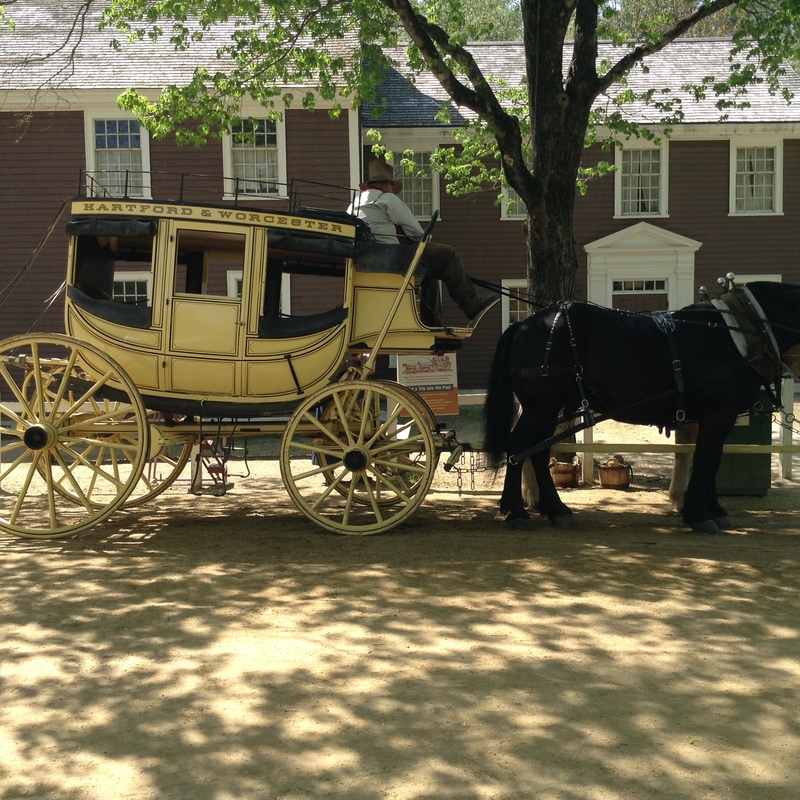 On Mother’s Day we visited Old Sturbridge Village (OSV) located in Sturbridge, Massachusetts, which is an outdoor historical museum showcasing some authentic period houses that have been moved from their original locations to OSV. Actors dress up in period costume and tell stories of their past. 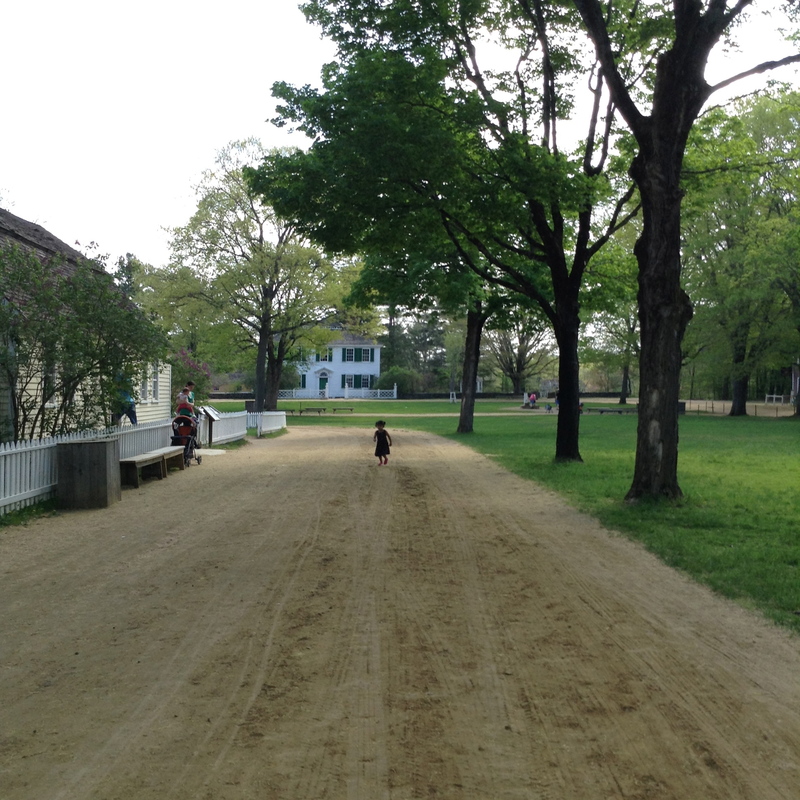 We badgered them with numerous questions, especially in the village store selling merchandise of all kinds. 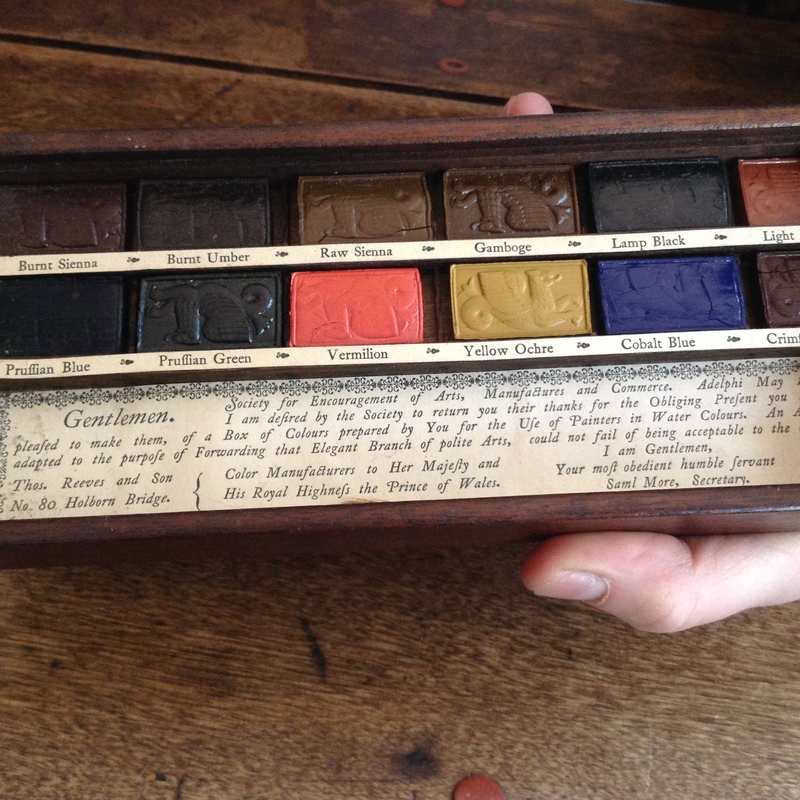 Being particularly interested in the stationery and art supplies of the day I was fascinated to find an old watercolor set which would have been popular- perhaps with young ladies painting botanical illustration. Here it is. Isn’t it beautiful? Back to the Library Haul. 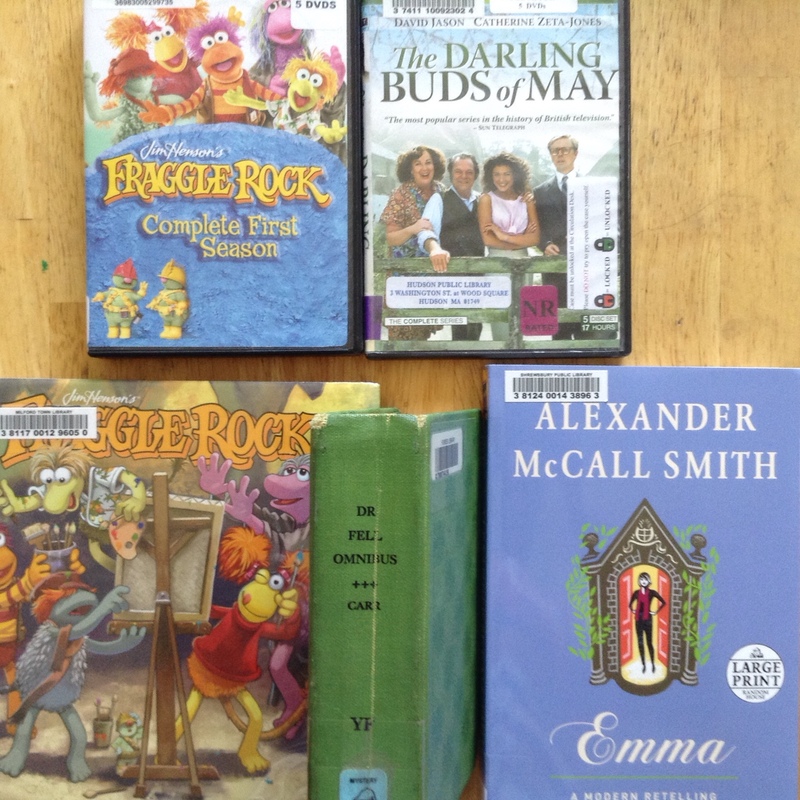 Little M enjoyed Fraggle Rock recently. I decided to pick up the Complete Season 1 of Fraggle Rock along with a book. The book is more like a comic strip and a little too advanced for Little M. Nevertheless she is having a good time looking at the pictures. Recently I enjoyed re-reading the Darling Buds of May by HE Bates. I decided to pick up the dramatization of the various books. It features stellar performances from the inimitable David Jason as Pop Larkin, Pam Ferris as Ma Larkin and a very young Catherine Zeta-Jones as Mariette. I had requested a vintage crime novel from the library by John Dickson Carr called the Mad Hatter Mystery. It came in this ancient omnibus edition. Looking forward to my first book by this acclaimed master of the locked room mystery. Lastly, Emma: A Modern Retelling was lying on the new book shelves at the library. I have too many books to finish at the moment but I could not resist picking this up. McCall Smith is one of my favorite modern day writers. I wonder what he will do with Austen’s masterpiece? 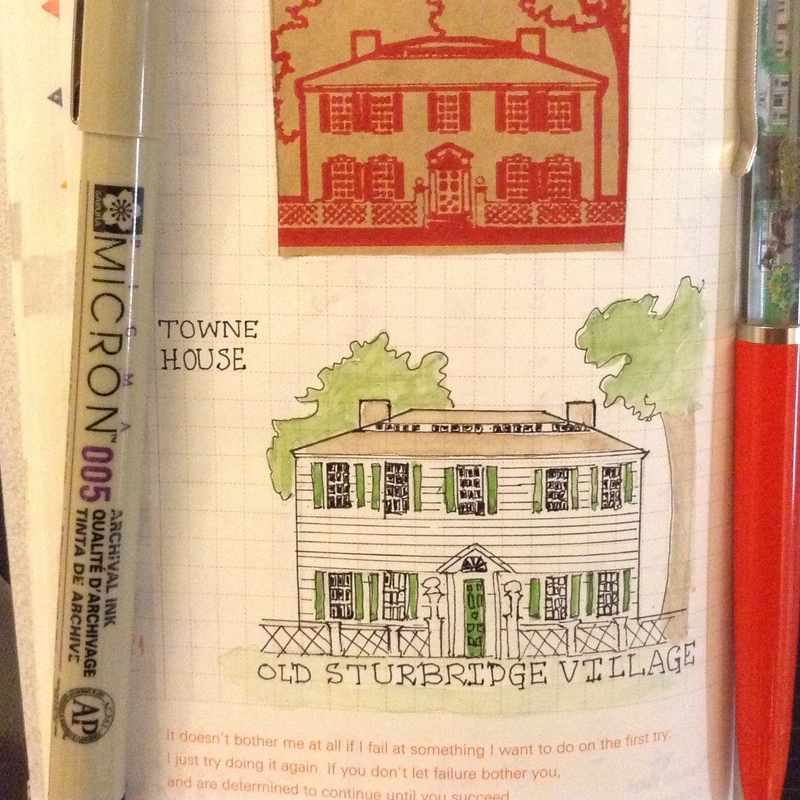 I leave you with some pictures of Old Sturbridge Village and an entry in my art journal. See you next week!